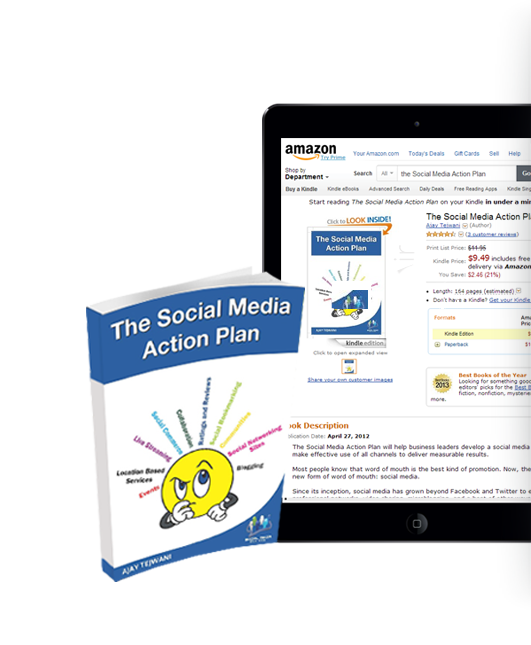 The Social Media Action Plan helps business leaders develop strategies that make effective use of all communication channels to deliver measurable results. Most people know that word-of-mouth is the best kind of promotion. The Internet provides a new form of word-of-mouth via social media. Since its inception, social media grew far beyond just Facebook and Twitter. Today, social media encompasses professional networking communities, video sharing sites, and micro blogging enterprises. All of these mediums allow companies to interact with clients, stakeholders, and potential business partners. Getting on board with the social media revolution means more than just modifying outdated business models. Using social media effectively requires a new approach to how businesses interact. Brands need to learn how to use the new toolset that comes with social media. The company has to change its entire mindset in order to be successful. Additionally, mobile phones and tablets are becoming the channels of choice for many people, and social media alone is no longer an effective strategy. Cross-channel integration with the brand’s website, mobile marketing, social media marketing and traditional marketing is essential for success.